●Equipped with 2 Bubble Levels for High Accuracy Measurement compared to common measure in the market. ●Laser Class II, <1mW power output. 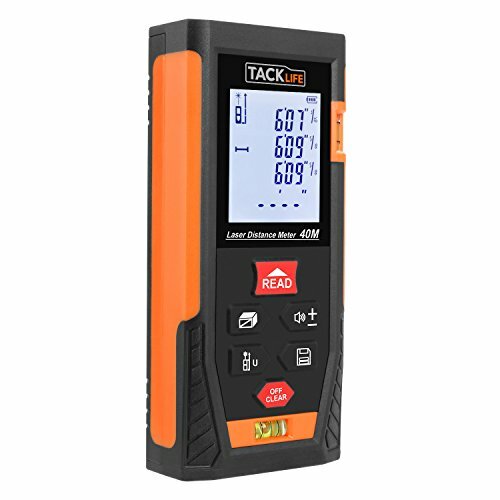 ●Lightweight and very simple, instant, reliable to measure, a tool that get your work done significantly easier. ●Laser intensity indication; Innovative ergonomic structure design. Multiple functions and features to improve efficiency. ●Auto calculations based on measured Length, width and height, no need of manual operation any more. As strong sunlight would weaken laser energy, which might influence the accuracy and measuring range, it's better to measure backlight, not use outdoors in a sunny day.